At Greenhill Manor we understand how important it is for you to continue living the same lifestyle to which you have become accustomed. 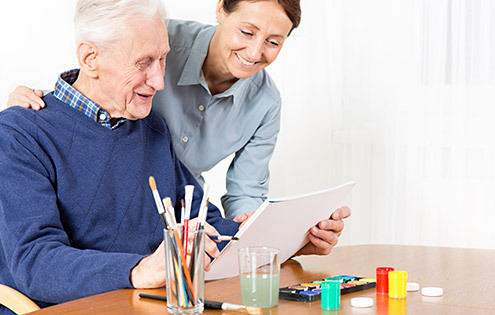 As such, our 24/7 nursing care is keenly focused on helping you maintain your independence. You may need a little help getting ready in the morning, support when moving around or medical care such as help managing medicines. Whatever you need, our friendly team is here to support you. 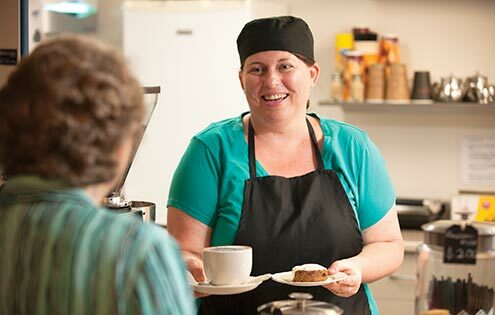 We know that each and every resident is unique in their needs and preferences, so we’ll create a highly customised care plan for you, outlining the care you require and the way you’d like to receive it. This care is supported by a rich program of diverse activities to help you get to know your fellow residents and feel completely at home. These activities include arts and crafts, pilates, gardening and cooking, bus outings, concerts and plenty more. Our respite care presents the perfect opportunity for prospective residents to experience life at Greenhill Manor before deciding to move in. Our short-term residents receive all the support they need and can enjoy all the activities and amenities that Greenhill Manor has to offer during their stay. This includes access to our extensive list of activities, from pilates and gardening to quizzes and concerts. Palliative care is specialist care and support for someone living with a terminal illness. Importantly, palliative care also involves care and support for family and caregivers. Our nurses are trained in delivering the highest levels of comfort and support to those suffering terminal illness and their families. Our holistic approach to palliative care provides relief from pain and discomfort and aims to help the resident live as well as possible. Not everyone with a terminal illness will experience pain, but in almost all cases it can be relieved. Your loved one can also continue treatment aimed at curing their illness if they wish. 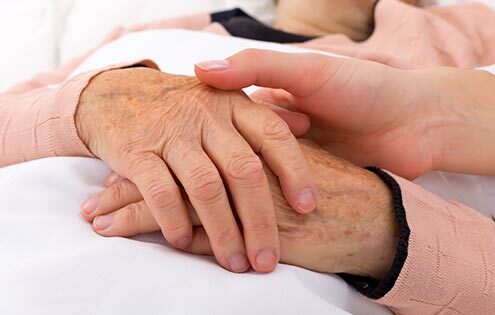 The focus of palliative care is maintaining quality of life and meeting the needs of the resident and their families. We also have a dedicated room available if family members of our palliative care residents would like to stay overnight. The Lily Room provides a bed with ensuite bathroom and a small kitchenette. Dementia is a general term for a decline in mental ability that is usually severe enough to interfere with daily life. This decline is usually gradual but can sometimes be sudden. Dementia impacts one in four people over the age of 85 but the support of families, friends and carers can make a positive difference. We understand how hard it can be to decide how best to care for a loved one suffering from dementia. Here at Greenhill Manor we have an exceptional team of memory care specialists, helping to make life as easy and fulfilling as possible for our residents. Our highly experienced nurses work hard to maintain our residents’ independence and quality of life with an emphasis on reinforcing identity, self-esteem and confidence. Created specifically as a memory care unit, Greenhill Lodge has many unobtrusive features dementia- friendly features to assist with day-to-day living. These include a specially designed bed with memory care mattress, a toilet highlighted by contrasting-coloured tiles and night lights and a safe and secure environment for residents to enjoy. We encourage residents and their families to personalize their private spaces too, to inspire positive connections and stimulate memories. Our secure sensory garden provides an enjoyable outdoor space for exercise or quiet reflection. It is carefully designed with special features for stimulation, reminiscing and enjoyment. In order to move into Greenhill Lodge, you will need a confirmed diagnosis from your doctor. 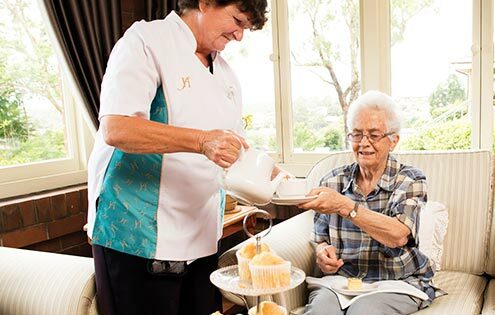 Then you’ll need to arrange a free assessment by the Aged Care Assessment Team (ACAT), they will be able to help you decide what kind of care is best for you – in-home care or a facility such as Greenhill Lodge.